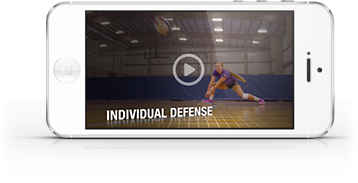 Purpose: Work on dig to set transitions as well as covering the ball as if a blocker were present. How it works: Have one player in each back-row position. A coach will be in right front and another coach will be in left front to hit balls at the players. The setter is determined by which back-row player digs the hard-driven ball. Once the dug ball is set to the coach, the players cover and the coach tips to simulate a blocked ball. The back-row players cinch up to the net to dig that ball. Repeat the sequence. The drill progresses to having only two players in the back row, alternating digging and setting.